Oregon State University is located in Benton County and has an enrollment of about 14,000. Student housing is available for 2635. OSU serves the people of Oregon, the nation, and the world through education, research, and service. Over 120 years ago, it became the first state-assisted institution of higher education in Oregon. OSU has undergone a total of 13 name changes since its inception in 1856 as Corvallis Academy. 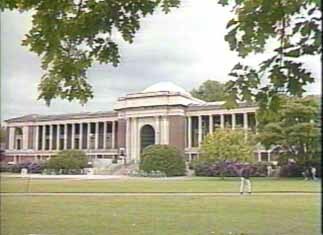 They became Oregon Agricultural College in 1937, Oregon State College in 1953 and finally, in 1961, OSU. A varied curriculum is offered in fields such as: Agricultural Sciences; Forestry; Oceanic and Atmospheric Sciences and Veterinary Medicine. Students have a choice of baccalaureate, master's and doctoral programs.